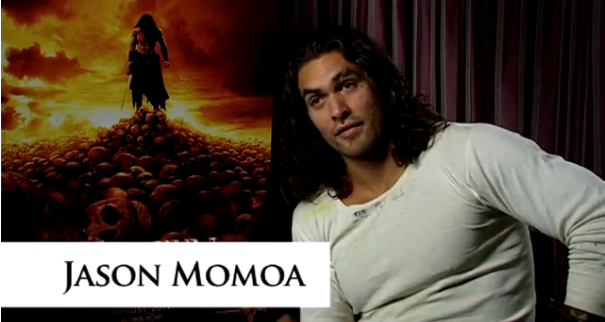 Earlier this month we showed the first part of the 2 part video interview CONAN THE BARBARIAN Fan Questions with Conan himself Jason Momoa who answered questions from various UK blog writers and readers to ask the new Conan, Jason Momoa. He answered the best of these questions and we present the Part Two of his answers now. Earlier Today Lionsgate have sent us the second part of the video interview which you can watch below and if anyone had doubts over Jason Momoa playing such a iconic character as you see he’s such a nice guy and worth the time to listen to. Lionsgate presents Conan the Barbarian in UK cinemas Wednesday 24th August 2011. The colossal legend that is CONAN THE BARBARIAN is back this Summer. Having thrived and evolved for eight decades in the public imagination – in prose and graphics, on the big screen and small – Conan’s exploits in the Hyborian Age now come alive like never before. Shot in 3D, the reimagining of one man’s mythical battle for revenge is finally here in this Epic action-adventure film. Directed By Marcus Nispel, starring Jason Momoa as Conan, plus Rachel Nichols, Stephen Lang, Rose McGowan, Said Taghmaoui and Ron Perlman.